Dwayne Zacharie was born and raised in Kahnawà:ke and has worked for the Kahnawà:ke Peacekeepers since 1997. He is currently the Chief Peacekeeper. He is responsible for the administration of all policing functions. In 2013, he was elected President of the Association of First Nations Chiefs of Police of Quebec (AFNCPQ). In 2016, he was elected President of the First Nations Chiefs of Police Association (FNCPA), which represents stand-alone First Nation Police Services across Canada. In October 2018, he was re-elected President of FNCPA. 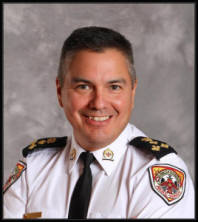 As President of the FNCPA, Chief Zacharie’s primary role is to advocate on behalf of member services for the programs, funding, and training required to provide First Nations communities with police services that meet their needs while embracing their unique cultural and traditional values. He also works diligently to inform FNCPA members and their communities as well as policing partners and the general public about issues of concern and interest. On January 4, 2018, Chief Zacharie was appointed a Member of the Order of Merit of the Police Forces. Edward “Lennard” Busch is of Sioux ancestry and is a member of the Kahkewistahaw First Nation in Saskatchewan. Len has been a police officer since January 1st, 1978. He commenced his policing career with the Manitoba Police Commission as a Native Special Constable at South Indian Lake, Manitoba in 1978. He joined the RCMP in 1980 and served for 34 years doing general duty policing, drug enforcement, intelligence, undercover operations, protective services, and as an instructor at the RCMP Academy. Commissioned to the rank of Inspector in 1999 he served as the Officer in Charge of National Aboriginal Policing in Ottawa. He then served as the Governor General’s Security Liaison Officer for 3 years and in 2006 was posted to the Canadian Police College as the Director of the Professional Development Centre for Aboriginal Policing. In 2012 Len became the Director of the Police Leadership Centre at the CPC. In the fall of 2014 Len retired from the RCMP and became the Chief of Police at the File Hills First Nations Police Service in Saskatchewan. Chief Jerel (Jerry) Swamp is from the Mohawks of Akwesasne. 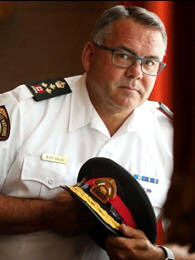 He joined the Akwesasne Mohawk Police Service in 1991 and has held the ranks of Constable, Detective Sergeant and Acting Deputy Chief before becoming the Police Services Chief of Police in 2009. In 2017 he retired from the Akwesasne Mohawk Police Service after serving 8 years as the Chief of Police. 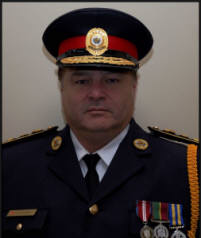 In October 2018 Chief Swamp joined the men and women of Rama Police Service as their new Chief of Police. Chief Swamp spent 15 years conducting major criminal investigations which included death investigations, trafficking and conspiracies related to weapons and controlled substances between Canada and the United States. He is a past recipient of the First Nations Chiefs of Police outstanding service award for his work in numerous organized crime investigations. He is also the recipient of the Governor General’s Exemplary Service Medal in 2011. In 2013 Chief Swamp was the recipient of the Queen’s Diamond Jubilee Award for his outstanding contribution to First Nations Policing in Canada. He has presented on many topics across Canada including Organized Crime in native communities, Critical Incidents and management in Native Communities, Policing in a multi-jurisdictional location as well as operational planning and search warrant drafting. Born into a police family in Lachine, Quebec, Chief Dulude is the 7th member of his family to be part of a police force, including his great grandfather. Shawn began his career in 1993 with the Dorion Police Department as a Patrolman. Over time as the departments merged in to the Sûreté du Québec, Shawn developed his skills as he moved up the ranks. From 2004-2010 he was Sergeant then Assistant Director at the Valleyfield detachment. In 2010, he moved to Havre-Saint-Pierre where he worked with the Mingan and Natashquan First Nations as the Station Director. After 15 years with the Sûreté du Québec, Shawn retired in 2017 and began a new chapter in his career as the Chief of Police with the Akwesasne Mohawk Police Service. In the spring of 2018, Shawn was elected Secretary of the Association of First Nations Chiefs of Police of Quebec. He was elected Vice President (East) of the FNCPA in October 2018. Chief Head joined the RCMP in June 1993. After graduation his first post was in Nova Scotia where he worked in general duties and community policing until 2001. While in Nova Scotia, he worked in Antigonish County as the Community Liaison Officer. This position consisted mainly of First Nations Policing in Tracadie where he worked closely with the Band Council and Elders of the Paqtnkek Mi’kmaw Nation. In 2001, Chief Head moved to Newfoundland and Labrador and was promoted to Corporal as the Team Leader in Barachois Brook where he again worked with the Qalipu Mi’kmaq. They are a landless, recognized First Nations Band. Chief Head is currently working on membership with this Band. While in Newfoundland and Labrador, he was transferred to the serious crimes unit where he worked from 2005 to 2008. He was then promoted to Sergeant as a polygraph operator in the Truth Verification Section for NL until 2013. Because of his connection to First Nations work, Chief Head requested a transfer to Nunavut where he worked closely with the Nunavut Government from 2013 to 2015. He was promoted to Staff Sergeant in 2014. In 2015, he was commissioned and posted to Central Plains, Manitoba where he worked at the Portage La Prairie Detachment. He regularly interacted and met with many First Nations people, including Chiefs and Councils in his duties as the Officer in Charge. Chief Head enjoys visiting and communicating with people and enjoys learning about cultures of First Nations people. 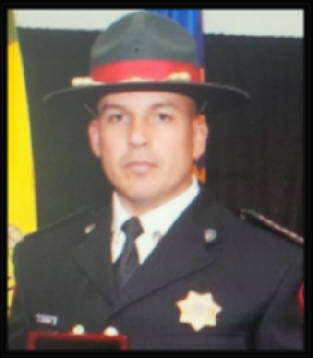 Chief Head was seconded to the Dakota Ojibway Police Service in May 2017 and after working with the service for 8 months he retired from the RCMP after 25 years of service and accepted the position of Chief of Police for the DOPS. He has been Chief of Police since January 1st, 2018. DOPS officially changed its name to Manitoba First Nations Police Service on June 1, 2019. John Syrette has been a police officer since 1987 and began his policing career at his home community of Garden River as one of a three-member Indian Special Constable office. Prior to becoming a police officer John was a Canadian Forces (Reserves) for nine years and attended Lake Superior State University in Michigan, USA. John worked in Garden River until January 1990 when he entered the Ontario Provincial Police and was posted to the Thunder Bay detachment. Among John’s duties, other than general law enforcement, was the #16 District liaison officer responsible for the First Nation communities in the District of Thunder Bay. 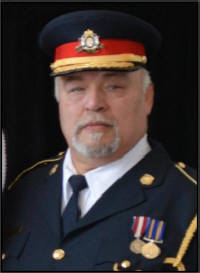 John was seconded to the Ontario Police College from January – March 1993 as the First Nations’ Liaison officer providing guidance and mentoring for the thirty First Nations recruits. John transferred to First Nations Policing Branch located at the O.P.P. Headquarters in Orillia in 1994. John’s duties included training and transport coordinator and later as the human resources coordinator for the First Nations Program communities. John left the O.P.P. in 1996 and returned to operational policing with the Anishinabek Police Service (APS) at his home community of Garden River. He was later promoted to Regional Commander of the APS North Region as the service rapidly grew from four original communities to eighteen individual First Nations. John also held the position of Director of Support Services prior to being promoted to Police Chief in 2005. During his time at the APS John has served as the co-chair of the Ontario Justice Partner’s Serving Victims First Nations Sub-Committee. 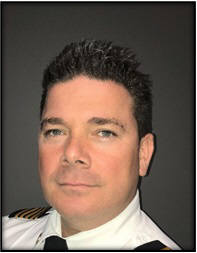 He currently sits on the Canadian Association of Chiefs of Police Victim of Crime Committee, serves as a committee member (First Nations Policing Program review) at the Canadian Council of Academies and is a committee member at the Laurentian University TRC Taskforce.